What has twenty patents, eight tentacles, and is cooler than a six-pack on a scorching day? Hint: it “lives” in the recently announced IBM FlashSystem A9000. Give up? 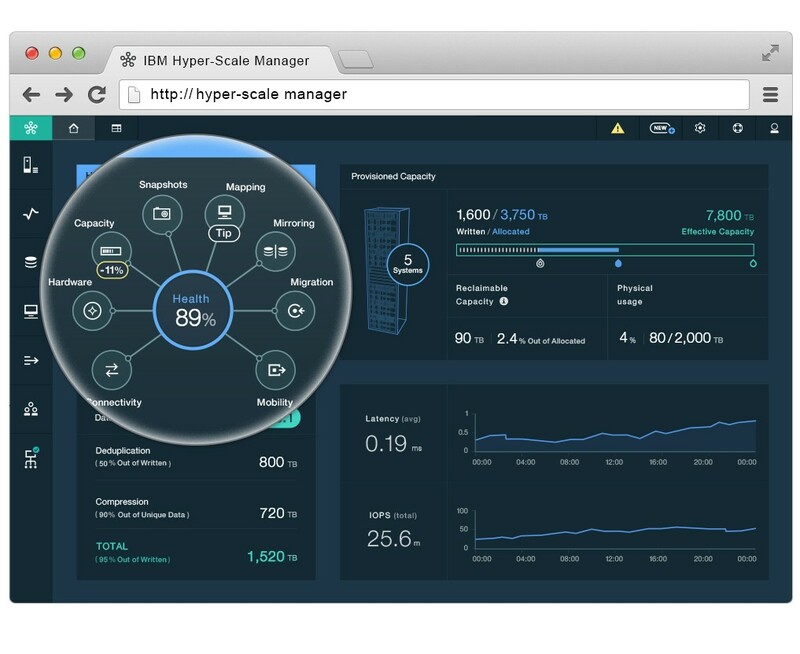 It’s the IBM Hyper-Scale Manager 5.0, a new, ultra-cool storage management user interface (UI) that integrates IBM Design Thinking, hundreds of hours of end-user workshop sessions, and the latest in the art and science of man-machine interface. Back in the day, IBM XIV revolutionized data storage and storage management by introducing previously unknown levels of simplicity to our field. The secret sauce to IBM XIV’s ease has as much to do with an architecture that eliminates dozens of painful storage tasks as with its UI which transcends the one-dimensional approach to storage management often found among competitor interfaces. Fast forward to 2016, and IBM has done it again. Combining the blazing performance of all-flash with a grid architecture, the FlashSystem A9000 family of products also includes a new UI. Among the first IBM efforts to integrate the agile principles of IBM Design Thinking, not to mention countless hours of end-user studies and numerous pieces of feedback from a core group of beta customers, the new UI is set to revolutionize storage management. What’s so special about the new UI? It boils down to crunching copious information and data points into an intuitive web-based dashboard that is – at one and the same time – simple and sophisticated. Users can gain deep insights based on dozens of parameters in one 10,000-foot view; customize parameters that elaborate on their storage situation; and telescope in and out of storage elements with one mouse click. The Hub – the new UI includes a mini-dashboard or Hub whose main element has affectionately been nicknamed “the octopus” (thus the reference to tentacles in the opening riddle). The Hub is what’s known as a single page application (SPA) which presents all essential information on one screen that a user can configure. “Anywhere-to-anywhere” navigation allows users to navigate to any related object from any object in any component – giving the power to provision, monitor, and troubleshoot quickly. And strong cognitive filtering learns a user’s behavior and suggests views that provide the information that an admin would seek. Business value – as with the XIV UI, which has since been deployed across IBM Storage products, the value of the new UI results from savings associated with features that simplify storage, such as The Hub, health widgets, smart filters, tabs and much more; these new features turn often-cumbersome tasks such as provisioning, capacity planning, mirroring, etc., into a snap, cutting administration times by over 90% for many activities. If you’d like to meet the design team, Edge 2016 is a great opportunity to get acquainted (register here). The design team will lead a user study at the event, allowing storage admins to join the design family and influence the future of the UI. Of course, if you can’t wait until September to demo and meet the designers, reach out to the team lead, Moshe Weiss, by heading to his blog.